Window-Eyes is your key to opening the doors of a world with unlimited information. A world where work takes precedence over technical hassles. 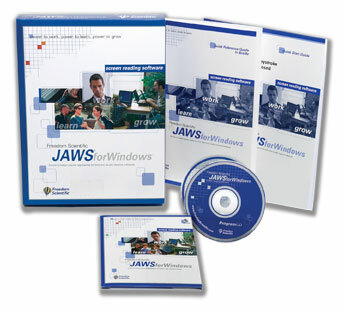 Window-Eyes is a leading software application for the blind and visually impaired, which converts components of the Windows operating system into synthesized speech, allowing for complete and total access to Windows based computer systems. Window-Eyes integration into Windows is seamless, providing you with instant access to the operating system without having to learn a complicated set of keystrokes. 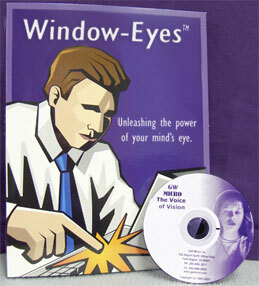 The Window-Eyes User’s Guide (available in a multitude of formats) provides detailed instructions and examples for beginning configuration options such as voice parameters and verbosity, as well as advanced instruction for tasks such as setting up user and hyperactive windows, and creating customized settings for individual applications. Windows has customized itself to individual work habits and preferences. Window-Eyes does the same, making it the most productive, easy-to-use screen reader ever. Works with many applications “out of the box.” Little or no extra configuration required.